Americans United for Life is proud to present our 2019 Life List. 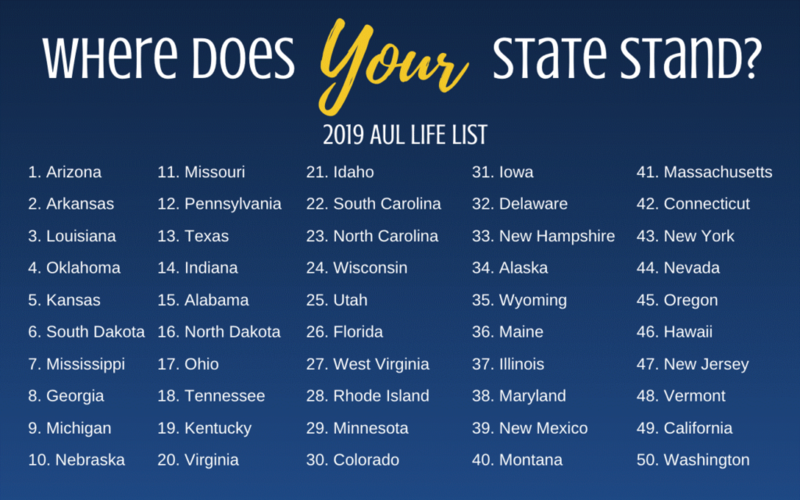 Our Life List is our annual state ranking based on our comprehensive legal analysis of each state’s legal protections for human life from conception to natural death. This year, we are excited to announce that Arizona has gained our highly coveted #1 ranking this year, closely followed by Arkansas, Louisiana, Oklahoma, and Kansas. The AZ East Valley Action Alliance is grateful to our Arizona pro-life voters for electing those lawmakers who have taken a strong stand for life; protecting our pre-born babies and their mothers. We especially thank those pro-life legislators for keeping their commitments to the pro-life community, making Arizona the most pro-life state in our country. men and women … who have served our country. We don’t know them all…but we owe them all !! May God Bless our Veterans on Veterans Day…and Always! 3) to stand unwavering for the “culture of life” ensuring every innocent life is protected under the guidelines of our Nation’s founding documents: the Declaration of Independence, the Constitution, and the Bill of Rights; still the most fundamental laws of our land. Because MILLIONS of lives depend on your vote…Because BABIES deserve better…Because WOMEN deserve better…Because MORALITY demands it…Because someone needs to DEFEND the defenseless…Because YOUR pro-life vote can save lives! Disclaimer: While the AZ East Valley Action Alliance does not endorse candidates, we do encourage the pro-life voter to review candidates’ pro-life voting record and/or take their pro-life pledge under consideration worthy of a pro-life vote, as provided herein. Taking the life of an unborn child is a horrendous and murderous act that has claimed millions of a generation. President Donald J. Trump has boldly proclaimed a pro-life position and from across our great nation, representatives are speaking up for the silenced voices. As a “conservative pro-life 2018 candidate” will you please initial the following questions if you agree? AZ Voters are urged to give consideration first and foremost to these candidates when casting their 2018 pro-life vote in the primary and/or general election. Taking the life of an unborn child is a horrendous and murderous act that has claimed millions of a generation. President Donald J. Trump has boldly proclaimed a pro-life position and from across our great nation, representatives are speaking up for the silenced voices. As a “conservative 2018 candidate,” does the AZ pro-life community have your pledge to support the President’s pro-life agenda to include your pro-life vote on all pro-life legislation whether serving at the state or federal level in accordance with the current 2016 GOP Platform, Page 10: “We have these truths to be self-evident – that all men are created equal – that they are endowed by their Creator with certain unalienable rights – that among these are LIFE, Liberty and the Pursuit of Happiness”? 1) Remain constant in safeguarding the dignity of every innocent human life from “Conception until Natural Death”? 2) Pledge to not allow to be misled by ignorance or corrupted by fee or favor? 3) Boldly proclaim your unwavering stand for the “culture of life” ensuring every innocent life is protected under the guidelines of the U. S. Constitution? in the course of their service. secured for us by the sacrifices of America’s heroic veterans! 1) In safeguarding the dignity of every innocent human life from “Conception until Natural Death”? WASHINGTON D.C., January 19, 2018 (LifeSiteNews) – LifeSiteNews is pleased to provide an exclusive transcript of President Donald Trump’s March for Life speech in Washington D.C. Thank you very much, that’s so nice. Sit, please. An appeals court has stopped a judge’s order issued yesterday forcing the Trump Administration to facilitate an abortion for an illegal immigrant. As LifeNews reported yesterday, a federal judge nominated by Barack Obama ordered the Trump Administration to allow an undocumented teenage girl in the state of Texas to have an abortion that could be funded partly at taxpayer expense. Judge Tanya Chutkan had ruled that the government must allow Jane Doe to get an abortion by Saturday to end the lifeof her 15-week-old unborn baby. Today, the U.S. Court of Appeals in Washington stayed Wednesday’s ruling in order to hold a hearing Friday on the merits of the case. Americans ~ join hand in hand! A Safe and Happy 4th!!! WE HONOR OUR VETERANS 2016! Almighty God, You are our Creator and Sustainer. Lord, You moved upon men to establish this great nation. You stirred men to hope and to dream for a land of freedom. We praise you for this great nation. volunteer to proudly stand and defend our beloved country. who have steadfastly served in their chosen branch of our military. We gather today to remember our military personnel. Free men and women in this great land. who have served or who are serving our country. We are reminded that because of their service we can live in safety. We ask that you abundantly bless those who have previously served. May their service time be rewarded in every way. May they gain earthly blessings from their unselfish love of country. Lord, we stop now and remember those who are currently serving. protection, your strength, and your peace. We ask that you would abundantly provide for all their needs. We ask that you would protect their families from hurt and harm. not just today but every day. Father, we also give special recognition to our wounded warriors. as a result of their time of service to our country. to all the efforts given to them to help them. they seek to gain health, stability, and wholeness. We are most grateful to You, O Lord, for answering the prayers of our Nation in allowing Donald J. Trump to be chosen as our newly-elected President of these United States ~ against all odds! May he hold to his promise of providing excellent care for our Veterans and their families. As we head into the final stretch of the campaign, the help of leaders like you is essential to ensure that pro- life voters know where I stand, and also know where my opponent, Hillary Clinton, stands. Hillary Clinton not only supports abortion on-demand for any reason, but she’d take it a step further: she wants to force the taxpayers to pay for abortions by repealing the bi-partisan Hyde Amendment. Hillary Clin- ton also supports abortion until an hour before birth and she will only appoint Supreme Court Justices who share this view. She doesn’t even try to hide her extremism. When asked on Meet the Press when unborn children have consti- tutional rights, Clinton bluntly responded, “The unborn person doesn’t have constitutional rights.” She is so committed to this view that she proclaimed in a speech that “religious beliefs…have to be changed” in order to advance her abortion agenda. Hillary Clinton’s unwavering commitment to advancing taxpayer-funded abortion on-demand stands in stark contrast to the commitments I’ve made to advance the rights of unborn children and their mothers when elected president. Your help is crucial to make this contrast clear in the minds of pro-life voters, especially those in battleground states. Together we can form this vital coalition so that Mike Pence and I can be advocates for the unborn and their mothers every day we are in the White House. Where do the presidential candidates stand on life? 5 Questions: Where Do The Presidential Candidates Stand on Life? (1) Ensure TAXPAYERS AREN’T FORCED TO PAY FOR ABORTIONS? (2) APPOINT PRO-LIFE JUDGES TO THE SUPREME COURT? Hillary Clinton would stack the court with pro- abortion justices. Hillary Clinton would increase funding to the nation’s largest abortion business. (4) BAN ABORTIONS AFTER 20 WEEKS? (5) WHERE DOES YOUR RUNNING MATE STAND ON LIFE? Donald Trump selected Governor Mike Pence, a pro-life trailblazer who led the charge to defund Planned Parenthood. Hillary Clinton selected Senator Tim Kaine who says he’s Catholic but is just as pro-abortion as Hillary. Dear Candidate: You are invited to participate in the AZ East Valley Action Alliance’s pro-life questionnaire for the benefit of the pro-life voter. or download the form, complete it and mail to: AZ EVAA, 2648 N. 61st Street, Mesa, AZ 85215-1536. Your completed form will be available to the AZ Voter via social media and other outlets deemed appropriate. CONTACT ELECTED REPRESENTATIVES ALL AT ONCE! Create a Username and Password and start writing letters to your State or Federal legislators. 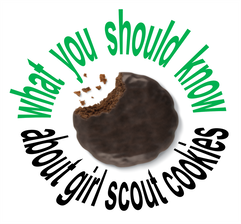 To find out about specific legislation from our State legislature, you can go to:www.azleg.gov Click on either Senate or House on the left hand side. Click on Members in the drop down box. Click on the Representative you wish to find out about.